Samsung has been busy as of late with the Galaxy S7 and S7 edge, but the company is also doing its best to promote Tizen, its own homegrown mobile operating system. 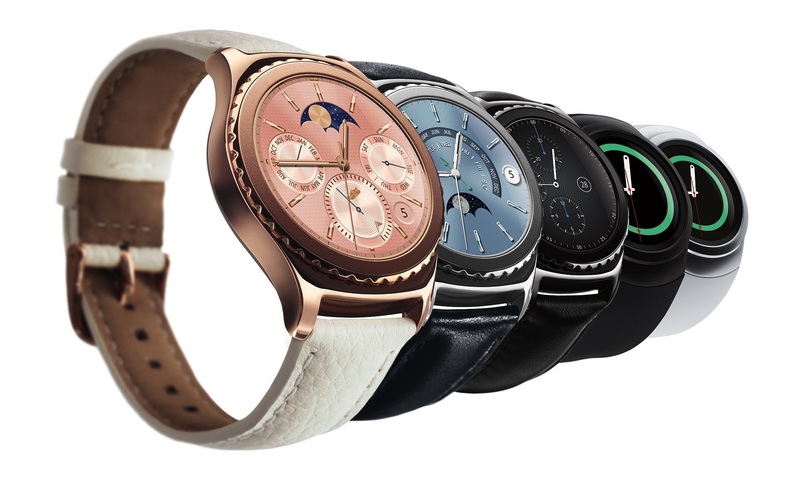 To that end, the company has been updating the Samsung Z3, but also its Tizen-powered Gear S2. 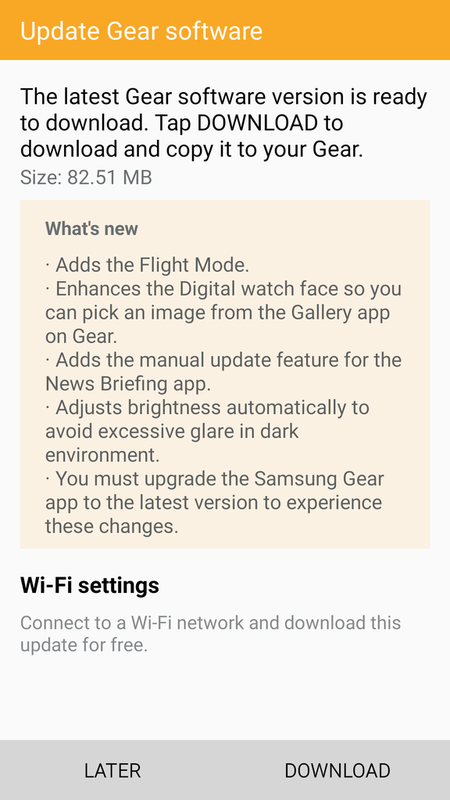 Gear S2 users received an update back in December that boosted battery life, a February update that brought new watch faces and applications, and the Gear S2 will now receive a third update that is said to bring a new Flight Mode, auto brightness level, manual news briefing, and allow you to customize the digital watch face by way of your photo gallery. The Flight Mode here is another way of saying "Airplane Mode" (we figured some of you would ask this question), and the Flight Mode for the Gear S2 does what Airplane Mode does on Samsung Galaxy smartphones: it allows you to disable the majority of applications and processes whenever you need to so that battery life isn't taking a major toll. Yes, there is a Power Saving Mode on the Gear S2, but it mandates that you shut off a number of processes and disable your main screen in order to conserve battery life. The Flight Mode will allow you to maintain your usual swiping and on-screen experience without resorting to Power Saving Mode and losing the ability to interact with your Gear S2 as you do normally. There is an auto brightness mode that adjusts your brightness depending upon the room, lighting, and circumstances, and some that have wanted this feature can now enjoy it on the Gear S2. The new Gear S2 update weighs in at 82.51MB, and brings the software version to R732XXU2CPB7. With that said, however, we recommend that you make sure your device has decent battery life before you install the new update. Next, please make sure that you update the app on your smartphone first before attempting to install the new update. Have you received the new Gear S2 update? What changes do you like about it? What more do you want out of your Gear S2 that a future software update could bring?